2.You should begin your investing career by investing in single family homes, then move into commercial properties once you have some solid residential experience. This is fiction. Some real estate investors start with multi-family properties right out of the gate. They know that they want to be in the commercial investing arena. Buying multifamily apartment buildings is a popular niche some real estate investors choose. They like not having to depend on “one tenant” to pay the costs associated with that property. The opposite is true for other folks. Their comfort level is in single family homes. This type of housing is so popular because everyone understands single family houses. With all of that being said, there really is no right or wrong way to begin. Moving into multi-families and commercial properties after working with single family homes for a period of time does seem to be a natural progression for a lot of investors. 3.Wholesaling houses for chunks of cash using none of you own money can’t be done. You cannot sell a house that you don’t own. This is pure fiction. Have you ever heard someone say that wholesaling is actually illegal? I know I have. Here’s the thing; when you put a house under contract with a seller you then have the right to “sell” this contract. When you find a buyer for your deal that is actually what you are doing. You are selling “the contract” when you do an assignment. If you do a double closing, you are actually selling a house you have purchased. Wholesaling is a great way to make quick cash. 4.Double closings or simultaneous closings are not legal. Once again this is a myth. I have been doing double closings which are also known as simultaneous closings for many years. I will tell you that not all attorneys (or title companies if this is what you use in your area) are well versed in this strategy. My recommendation is to find a closing attorney (or title company) that has a large client base of real estate investors. My closing attorney is also an investor so he is well versed in these strategies. Be sure the people you have on your team specialize in working with real estate investors. 5.An investor needs a large portfolio of properties before they can hire a property manager. This is fiction too. If you don’t want to be involved in the day to day operations of managing your rental properties you can hire a property manager right from the beginning. Since most property managers charge a percentage of the gross rents, it won’t necessarily cost you any more for one property than it would for several. Be aware that you may be able to negotiate a discount on that percentage for a larger portfolio of properties. Not everyone is cut out to be a landlord. Quite honestly I hated it. This business is all about the numbers. Make sure there is enough cash flow so that you can hire a property management company. 6.You need a large amount of paid off properties to retire comfortably. The answer is, “It depends”. Ask yourself this; how much additional income do you want or need each month? This will determine how many paid off properties you will need to achieve this goal. If your answer is, “I would like $8000 month additional retirement income”, in most areas, this will equate to 8-10 paid off rental properties depending on the amount of rent you get each month. If the average nice 3 bedroom home rents for $800 a month in your area, then you will need 10 properties. Folks often think that they need 20, 30 or even more properties to retire comfortably but that just isn’t the case. What's your “number”? Only you can answer that. When you are looking for the types of properties you should buy, be sure they are in good solid areas that will appreciate over time. Don’t buy in neighborhoods that are declining. Your “rental house retirement plan” won’t work out the way you hope if you invest in the wrong areas. If you have heard some other myths that need “debunking” just shoot me an email or leave me a voice message here on the blog. I look forward to hearing from you. 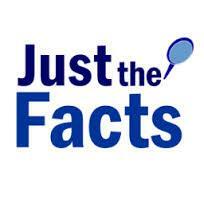 Some Basic facts of realestate is given as: Investing, Fact, Fiction & price. These are the small points who decide the value of your project. A tenant that has a low credit score will be great, if they have good landlord references. Of relying on landlord references is the best method of selecting tenants. Credit score itself is not the best indicator, look at the entire report.